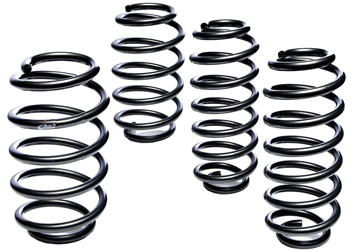 BG Motorsport is an official Eibach suspension ERS (Eibach Race Spring) Set Up Centre in the UK. 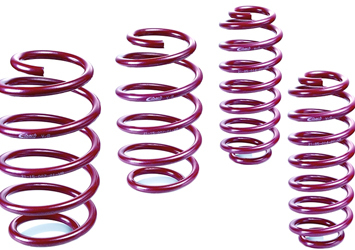 As well as setting up race springs for competition use, BG Motorsport also supplies the full Eibach range including Pro Kit springs, Sportline Kit springs, anti-roll bars (sway bars) and wheel spacers. 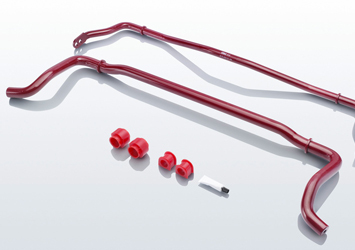 The Eibach Pro Kit (lowering kit) lowers the centre of gravity by lowering the vehicle by upto 1.5″ (40mm) thus reducing the squat during acceleration whilst at the same time reducing body roll in corners and excessive nose-diving under braking, resulting in improved handling and a sportier look. Eibach Pro Kits are designed and tested by suspension engineers and performance driving professionals to deliver aggressive good looks and high performance handling without compromising safety or ride quality. 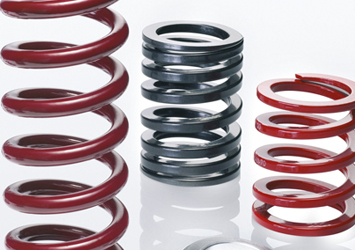 A technical overview of the Eibach suspension products that we offer can be found below but if you have any queries then please get in touch or for more information you can visit the Eibach website.